Pune is an amazing city that has evolved over the years. Today, Pune is one of the most loved cities in the country. Property demand in Pune has grown to a whole new level and competition between real estate companies has doubled. People are not only looking out for top-notch residential spaces in popular locations only, but localities surrounding IT parks and other commercial hotspots as well. Needless to say, a number of locations in Pune have surfaced the limelight due to an impressive growth in the city’s IT sector. Amongst the many localities Undri is one of the most talked-about location that is going through rapid development today. Being a location that people barely heard of, Undri has come a long way over the years. As this location is surrounded by beautiful landscape and is close to a number of IT hubs, a number of home buyers and investors are looking out for property in Undri today. In fact, a number of business owners, IT & other professionals find it beneficial to reside in Undri as it does not only offer efficient commuting, but also affordable housing when compared to the other locations in Pune. When it comes down to good physical and social infrastructure, Undri offers in in plenty. From wide roads, civic amenities and transportation facilities, this location offers fast and easy connectivity to a number of IT hubs and suburbs in Pune and its outskirts. Undri also offers a good range of social infrastructure that includes shopping centres, cinemas, banks, ATMs, cafes, bars, restaurants, hospitals, medical centres, colleges, schools, entertainment zones and more. As this location continues to go through rapid development, there is a lot that you can expect in the days to come. 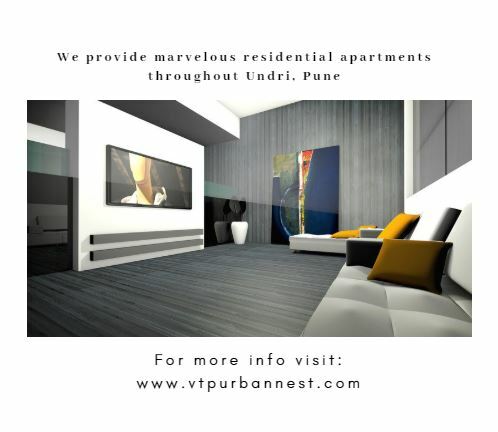 It is no surprise that Undri is an emerging residential hotspot in Pune today. With multiple landmarks, IT hubs and places like Magarpatta City, Kharadi, Hadapsar, Hinjewadi, being in close proximity, Undri offers a modern-day living that with an influx of manmade creations and the beauty of nature. A number of home buyers and investors have shown interest in this location as it offers all that you need for a comprehensive lifestyle. While many people are relocating to Undri, many are purchasing residential space as their second home. 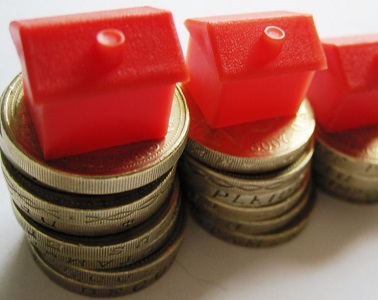 To top it off, property prices in Undri is fairly low when compared to other locations in Pune. You can get suave residential spaces without worrying about a load on your wallet when looking out for property in Undri. While the options are many, picking the ideal residential project is very important for a good life and higher property value in the days to come. Projects by real estate companies like VTP Realty are something you should definitely consider. 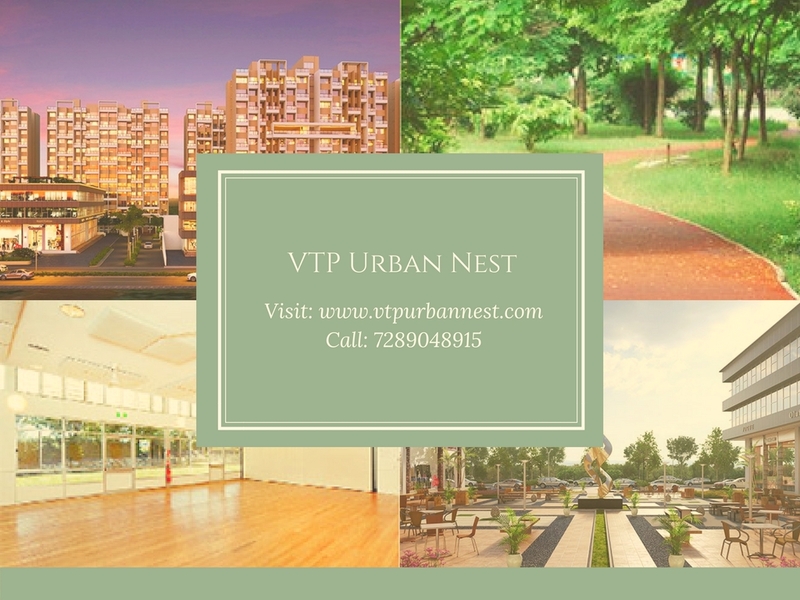 VTP Urban Nest is a posh residential project at Undri, Pune by VTP Realty that offers 1.5BHK, 2BHK and 3BHK luxury apartments of different layouts and carpet areas starting from 552 sq. ft. and going up to 841 sq. ft. Designed to perfection, every element of this development offers luxury and comfort from head to toe. The apartments are spacious and contain grand fittings, vitrified flooring, kitchens with granite tops, home automation, etc. This development also offers a wide range of external amenities that include a clubhouse, swimming pool, meditation centre, gym, amphitheatre, sports facilities, multipurpose hall, landscape garden and high-end security. Starting at a price of Rs.36.06 lakhs only, the apartments at this development are affordable and totally worth your savings for a new home in Pune.